1. In a bowl slightly mash the hot rice, add in the curd & water/ milk, salt and mix well. 2. In a kadai add the oil and temper the mustard seeds, channa dal, urad dal, curry leaves, ginger, green chillis and give it a good stir. 3. Now add the tempering to the curd and rice mix, along with the chopped mint, corriander, cashew and mix well check for salt. 4. Garnish with pomegranate and serve immediately. 1. 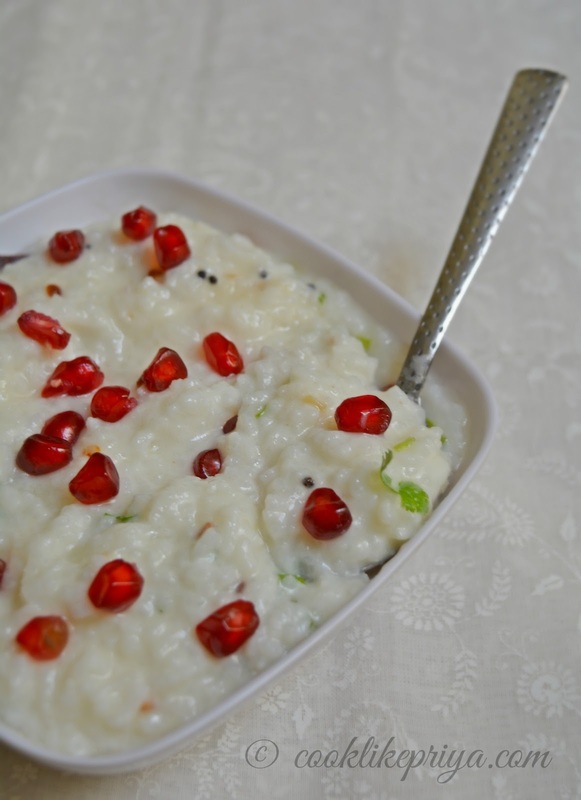 I usually use a little mushy rice to make curd rice, I use fresh curd and not sour one. 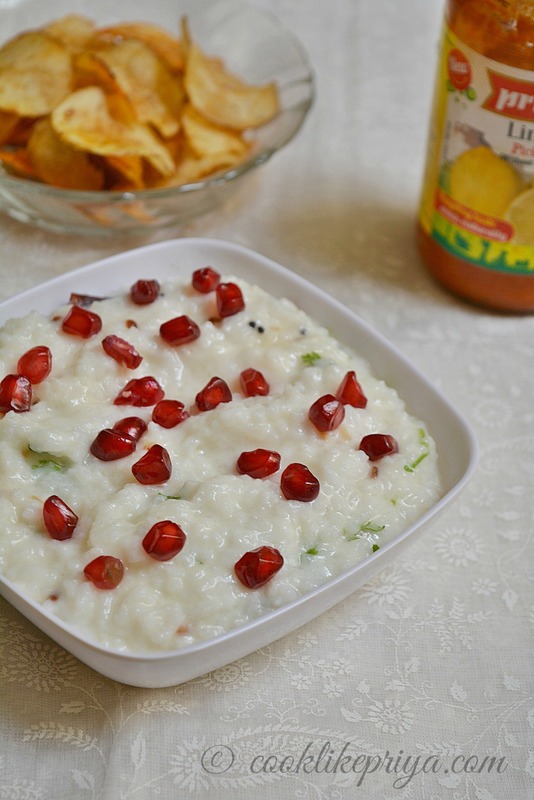 Adding green chilli and ginger gives lots of flavor to the curd rice. 2. You can add green grapes (seedless) variety instead or along with pomegranate. 3. 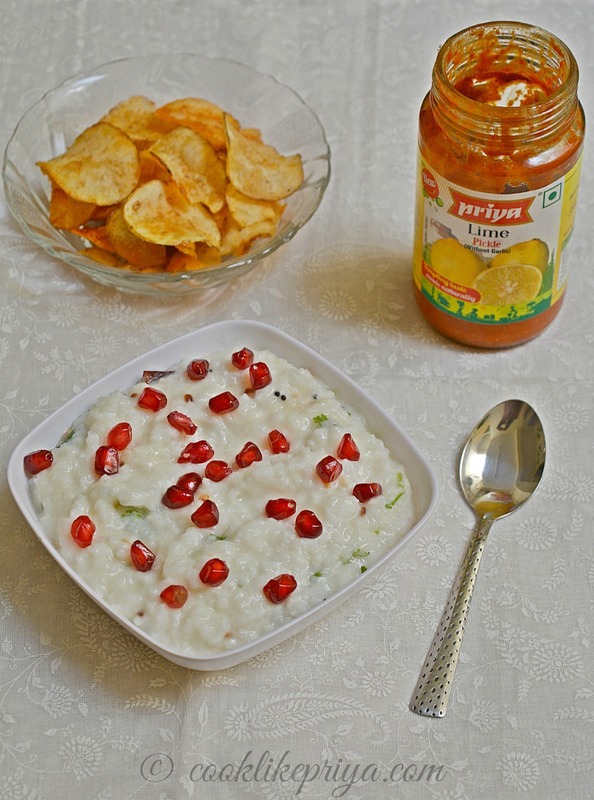 If you do not like fruits in curd rice then add shredded carrots, finely chopped raw mango to the tempering and cook for 2 minutes before adding it to the curd rice. 4. 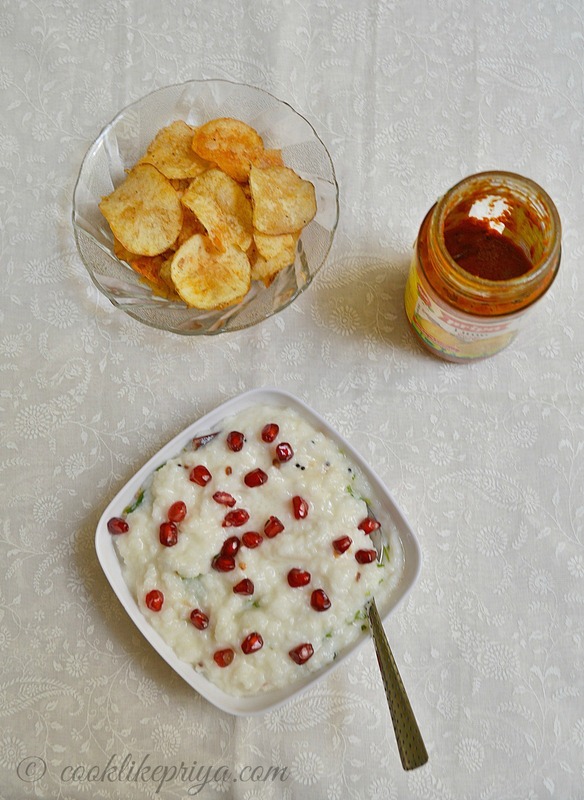 Some restaurants add cashew and raisins to the curd rice, but its totally optional. Delicious and lovely looking thaiyar sadam. Excellent preparation. Nothing to can beat curd rice irrespective of the varieties. all time comfort food.. loved the presentation and clicks.